In every job, there will be things you find difficult to deal with — stressful deadlines, uncooperative co-workers, counter-productive processes, lack of recognition for your efforts, etc. Although some challenges may just be the nature of the job and there's nothing you can do about it, it's always worth considering if something CAN be done about it. 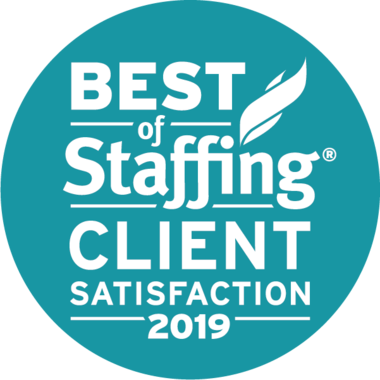 At Integrity Staffing, we want all our associates to feel empowered to take positive action towards resolving challenges, and unblock their road to career success. If you believe you're in a difficult situation, here are 5 steps you can take toward making your work life better. Rather than focusing on how the challenge makes you feel, try to analyze why that challenge exists in the first place. For example, if a team member rubs you the wrong way, why is that happening? Is the person's family problems causing him/her to be short-tempered? Is he/she from another culture with different norms of behavior? Or, be honest, is it frustration because you're not meeting expectations? If that's the case, the next question is, why not? Whatever is holding you back may be the real challenge that needs to be addressed, not other people's reaction to you. Trying to repress or avoid your problem won't make it go away. Talk about it with your team leader, your manager and fellow associates. They'll probably tell you you're not the only one facing this challenge, and give you some great advice on dealing with the situation based on their experience. 3. Use the resources that are there to help you. At Integrity, there's a wide range of processes you can tap into, and get the power of our organization on your side. Bring your requests or concerns to Integrity social media, Integrity Answers or our Human Resources department. We also have specialist teams to handle issues with safety, Worker's Comp, etc. 4. Plan a strategy to overcome the challenge. This will most likely be done in collaboration with the resources you've called in to assist you, from your onsite manager to the HR manager. Outline the steps that must be taken to remove or minimize the challenge. 5. Put the strategy into action — consistently. 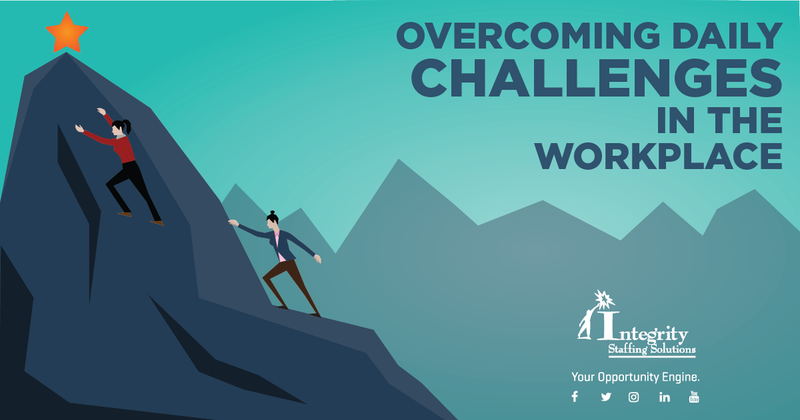 If the challenge was big enough to hinder your job success, it's too big to be eliminated in one day. Persistent effort will be required to make it happen. You may find as you go along that the strategy needs to be adjusted. Go ahead and try that; but if it still doesn't work, you may have to start over and re-evaluate the situation. We hope these steps will help you conquer your challenge. The most important things to remember are: you have the power to make changes for the better, and we are here to help you do that. Together, we can turn challenges into opportunities to exceed our own expectations!